The World Health Organization has published a set of guidance documents and standards to optimize the analysis and use of data collected through routine health information systems. 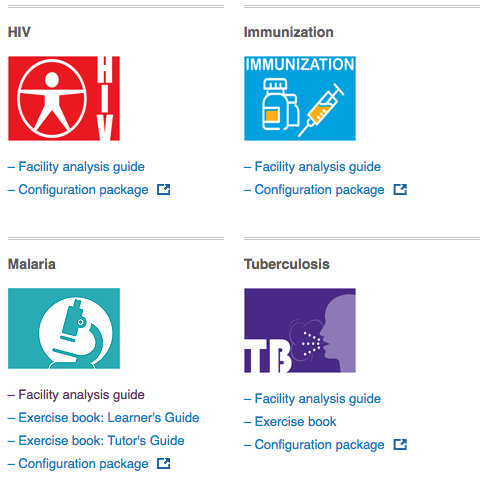 Through collaboration with the University of Oslo, disease-specific modules for DHIS2 have been developed and can now be downloaded from the WHO website. DHIS2 is the flexible, web-based open-source information system with awesome visualization features including GIS, charts and pivot tables. 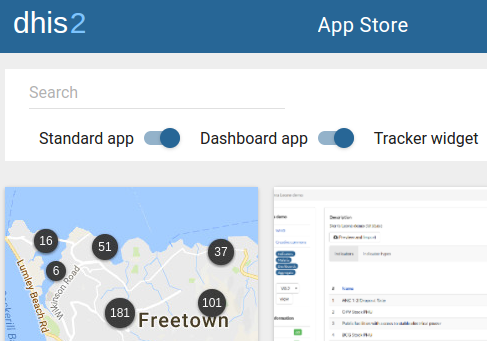 The self-service app store for DHIS2 is now available. It lets you upload and manage your own generic apps. Let others benefit from your work today! DHIS2 is the world's largest health management information system (HMIS) platform, in use by 67 low and middle-income countries. 2.28 billion (30% of the world's population) live in countries where DHIS2 is used. Deploy DHIS2 on premise or get up and running in minutes with a managed cloud instance. DHIS2 is the world's largest health management information system (HMIS) platform, in use by 67 low and middle-income countries. 2.28 billion (30% of the world's population) people live in countries where DHIS2 is used. Read more in the factsheet. With DHIS2 you can capture data on any type of device, including desktops, laptops, tablets, smartphones and feature phones. Most solutions work-offline, enabling improved reach in locations with poor connectivity. DHIS2 provides a wide range of solutions based on HTML5, SMS and Java. Through the DHIS2 Academy, the Health Information Systems Programme (HISP) aims to build a community of DHIS 2 users and experts in various regions, as well as facilitate sharing of experience with DHIS 2 deployments and strategies for national-scale HIS implementations. Look out for the next DHIS 2 Academy in your region and apply now! DHIS 2 development is coordinated by the Health Information Systems Programme (HISP) and is an open and globally distributed process with developers in Vietnam, India, Tanzania, Norway, Ireland and United States of America. The community includes monitoring and evaluation specialists, medical doctors, information technology experts, software developers and many others. Do you want to join the community? Learn how to subscribe to the mailing lists. You can request more information about the software at post@dhis2.org.